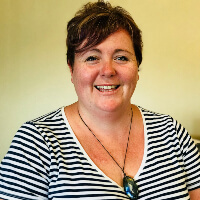 Hi, I have been working in Early Childhood Education for the past 13 years, and am particularly passionate about relationships, respectful practices, and tikanga. 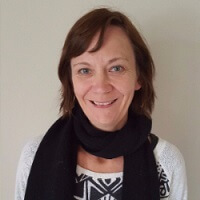 My experience over the years has been in a variety of early learning settings working with all preschool aged children, and mentoring adults in various team leader roles. I enjoy visiting the loyal and dedicated Educarers who open their homes to families, provide quality education and care for all children, and have sound knowledge of child development. Every month I visit all Educarers in their home to ensure health and safety regulations are paramount, follow each child’s learning journey, model leadership experience, and offer support and guidance. I am a proud mum of two beautiful primary aged children that keep me busy when I’m not working. My babies are my world! Hi. My name is Rose Corbett. I’m excited to have joined the team at Jemma’s as a coordinator. I’m a fully registered teacher, with nearly 15 year’s teaching experience, I have enjoyed seeing children grow and develop. I will bring my knowledge and passion of children’s inquisitive nature into my role with Jemma’s. I live in Thames with my husband and our three children, where we often have adventures as a family building memories. My name is Iveta Ongley. 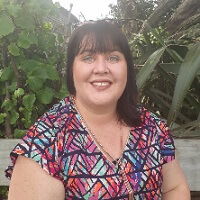 I am a qualified fully registered early childhood teacher with eight years of New Zealand centre experience at both teaching and management levels as well as two years of home-based teaching experience. I am a mum to an amazing three year old girl who delights me every day with her smiles, budding personality and adventures. Through my studies and experience I learnt how important the first years of children’s lives are and that a strong and loving relationship with significant adults is vital for the development of a child’s body, mind and soul. That’s why I am so passionate about home-based care and education where creating this all important relationship comes so naturally and is the key to children’s happiness and success in life. I have a strong philosophy on teaching and learning of young children. My practice is influenced by the work of Dr Emmi Pikler and RIE philosophy. This is a philosophy of respect; a philosophy based on relationships and natural development. I believe that the great outdoors are where the most discoveries and learning happen. I love natural and simple resources and in my opinion, the simpler the object is the more imagination and creativity children use when engaging with it, therefore exercising their brains fully. Roanna Kettle here from Orewa , Auckland. Im very excited to join the team of coordinators at JeMMas. The idea of homebased care for children has always interested me and I appreciate the opportunities it provided me with my 3 children in their younger years. Child development and learning is at its best when a child is fully immersed in trusting relationships and exposure to the community they live in. Homebased Childcare is perfect for this! 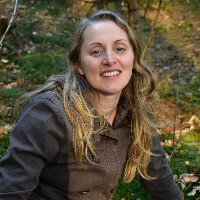 I have already met many amazing educarers working with JeMMas and Im loving working alongside them to create some strong educational programmes for each unique child. I look forward to meeting new Educarers and families and continue on my learning journey! I have worked for JeMMa’s since April 2010. 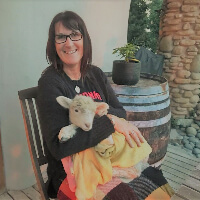 Prior to this I was one of their first educarers for the Tauranga area. I left for a couple of years at which point I used JeMMa’s to care for my baby while I worked. The great thing about Homebased is the relationships you form. I am still friends with the lovely lady who cared for my boy and treasure the memories from the portfolio. I was offered the opportunity to return in 2010 to organise their toy library (by the way it is massive) and my role just grew from there. Hi I’m Caroline my role at JeMMa’s is in the office and varied. 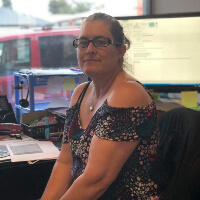 I am the Financial Administrator and along with managing the finances I look after social media, health & safety, newsletters, payroll and other admin support. I have 20 years’ experience in Finance and business management, 18 of those years I have worked in the Early Childhood sector. I love what I do and the people I work with and am very passionate about preschool education & care. My husband & I have lived in Papamoa for 20 years now and have a son, daughter and a granddaughter.